← How well do you know Loughborough Junction? Thanks to a couple of people who got in touch with Loughborough-Junction.org Blog we have some more information about the Chapel. Cal posted in offering three new ministers: Rev W.M. Carrington from 1912, below is a photo of the Rev Carrington taken in 1912. Followed by Rev E Scott who died in 1927. He was succeeded by Rev William South from October 1927. 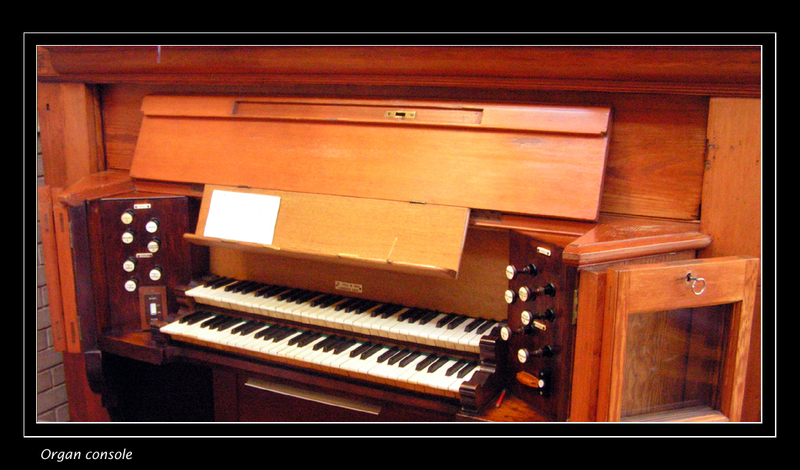 And Guy contacted the blog about the Organ installed in the Chapel in 1903, largely undamaged by the blitz, and transferred to Gerrards Cross Congregational Church in 1946. It was later moved to the new Gerrards Cross building in 1980-82 and is still in use today. 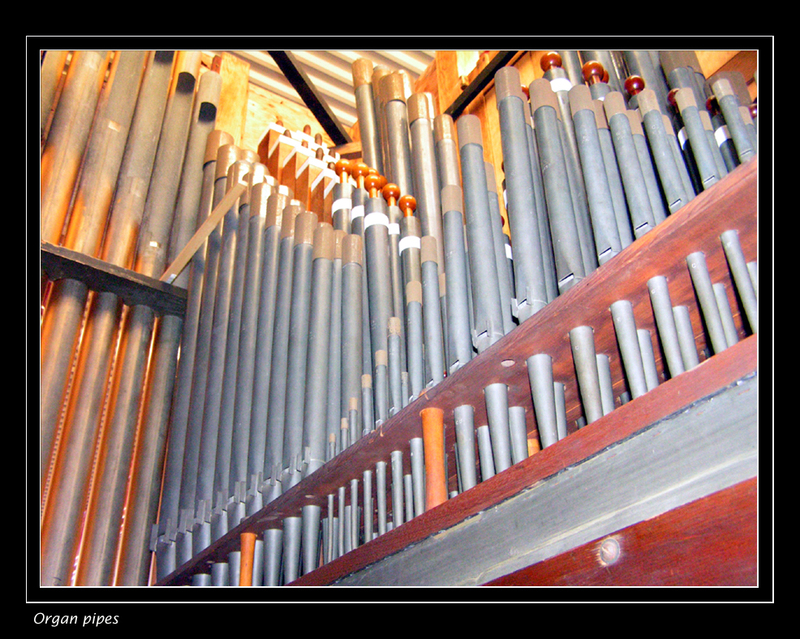 Guy kindly sent three photos of the Organ. 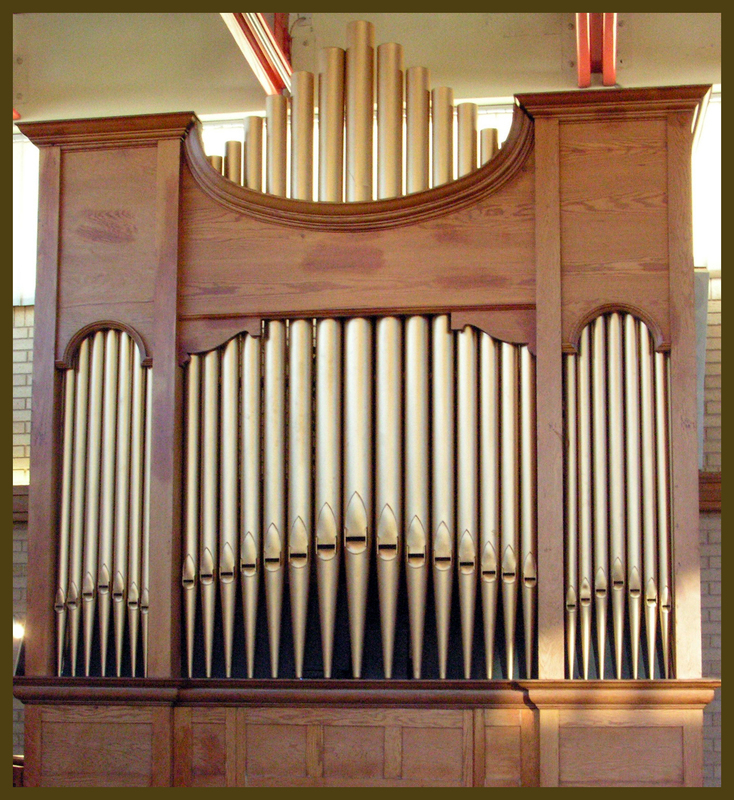 The organ pictured above was built for Loughborough Park Congregational Church in 1903 by Wm. Hill & Son as job number 2299. It was designed by Ernest Banfield, Architect of 11 Victoria Street. During the blitz the church was damaged and the Organ was removed for storage in Grenfell Club nearby. It was moved to Gerrards Cross CC in 1946 by the same company though after merger now known as Wm Hill & Son and Norman & Beard Ltd. In tracking down the history of the Organ Guy through a letter in the Reform magazine asking for any information about the organ or Loughborough Junction Congregational Church had some interesting responses. Mr Alan Forbes from Highgate responded with information about his wife’s great grand-father who was George Budworth Sharp. He was Choirmaster and Organist at LPCC for 42 years. They have some original music, handwritten for the church choir, dated June 1913 inscribed “Composed on completion of 42 years service as Organist of Loughborough Park Congregational Church Brixton SE” This would take his first attendance back to 1871. He met his wife through her membership of the church choir. He passed on in 1922. Harry Fisher also contacted Guy with his memories. He began as a member of the Senior Sunday School in 1912 , in all over 200 children in the senior school and a 100 children in the junior school attended Sunday School in those days. In the early 1920’s he took on the job of pumping the organ possibly succeeding Peter Banfield son of the architect mentioned above who designed the Organ. Ernest Banfield was a deacon and the Church Secretary for many years. He talks about the period 1941-42 when partly due to Blitz damage but mostly due to dwindling congregations because of conscription and evacuation the decision was taken to close the congregation in 1941 and transfer the remaining congregation to Herne Hill Congregational Church now the United Reform Church. He also mentioned the Grenfell Club which was a youth club founded by the Rev R,G, Martin known affectionally as RG to all the congregation. It met in Church premises. R Mudie-Smith in his statistical study of attendance at Worship across London : The Religious Life of London published by Hodder & Stoughton in 1904 , recorded average Sunday congregations in the LPCC of 139 at morning worship and 302 at the evening service. The last incumbent minister was Rev R Crossley Scott who transferred onto Emmnauel CC, East Dulwich. Finally, Cal also pointed to an interview with Rev TF Touzeau with Charles Booth ref B303, pages 22-39. Unfortunately this interview does not form part of the digitised Archive. If anyone has a copy, I would be grateful. This entry was posted in Churches, Loughborough Junction, Loughborough Park Congregational Church and tagged Church, Loughborough Junction. Bookmark the permalink.